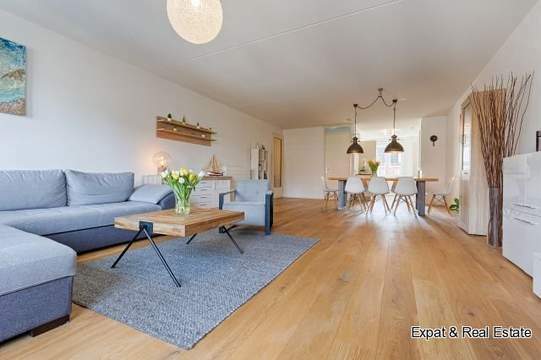 LOCATED IN THE POPULAR NEIGHBOURHOOD DUINOORD you find this spacious upstairs apartment of 150 m2. The apartment has a spacious living room of 13.0 x 3.70!! BRAND NEW kitchen with all appliances, 5 bedrooms and a very neat bathroom. There are also many original details present amongst others: ornamental ceiling, stained glass windows and all panel doors. 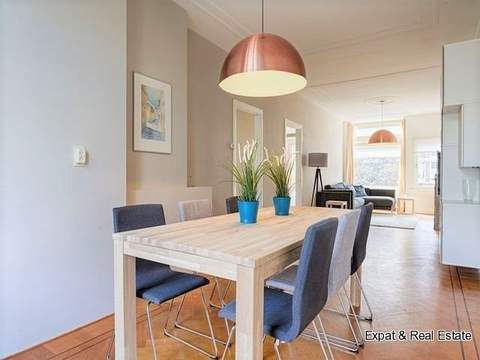 Location: located in the very popular and green area Duinoord. An area in the centre that has absolutely everything to offer and all shops for the daily needs are literally around the corner. Also there are many nice restaurants. All roads and public transport conveniently located. landing, toilet, build-in closet, wardrobe, very spacious, bright living room (13.0 x 3.70) with original ornamental ceiling, closet BRAND NEW kitchen with all apliances and with access to balcony. Also on this floor is a study/bedroom. 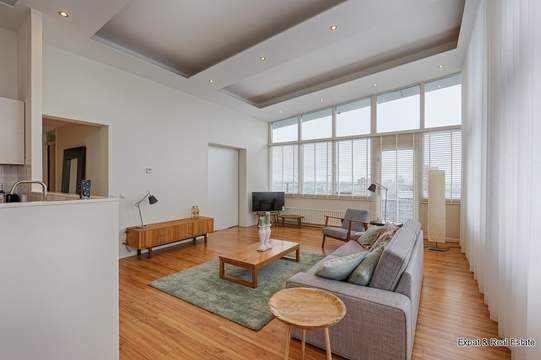 landing with plenty of cupboard space, 3 bedrooms, spacious bathroom with walk-in shower, washbasin and washing machine and dryer connection.